We did some interesting calibration checks on the Shapeoko 2 at the space last night. 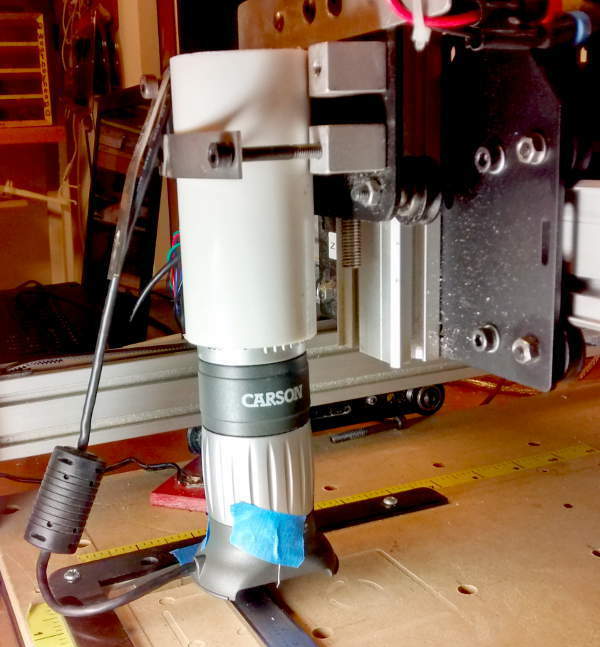 Driver and viewer software for the USB microscope are now on the Shapeoko laptop. With the ‘scope mounted to the gantry looking at the lines etched on an old-school vernier caliper body we observed average backlash (difference approaching a point from different directions) of around 0.009″. 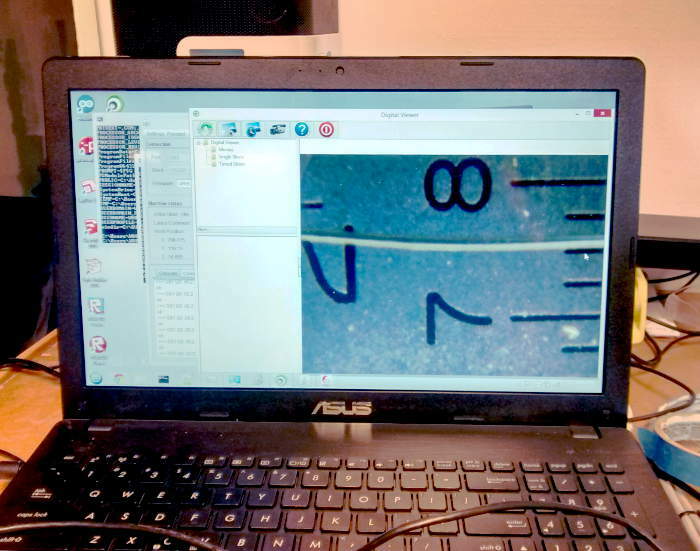 Absolute accuracy varied from 0.003″ to 0.013″. That latter worst case error is about 1/3 the diameter of the holes we drill in PCBs, and so is potentially a problem. There was some discussion of ways to improve the mounting of the drive belts. With some evidence of belt stretch, replacing all the belts is also under consideration. More details in this post on Jim’s project notes. This entry was posted in Equipment and tagged calibration, shapeoko by Jim. Bookmark the permalink.